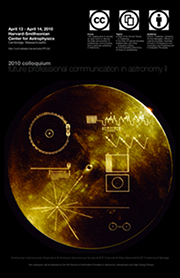 All talks will take place in the Phillips Auditorium at the Harvard-Smithsonian Center for Astrophysics, 60 Garden Street, Cambridge, MA, USA. (see also map of area). Speakers should prepare presentations as either Microsoft Powerpoint, Apple Keynote or PDF files and provide them to the LOC the day before their scheduled talk. You can deliver your presentation in person at the conference or email it to fpca_loc@head.cfa.harvard.edu. All presentations except for the keynote talk should be up to 25 minutes in length, allowing at least 5 minutes for questions. Additional questions and discussion are scheduled at the end of each session. 9:00 – 9:30 Abt – Have we Reached a Maximum Astronomical Research Output?